These days the Kiwis seem to be way ahead of us in pretty much all areas of human endeavour. Take reconciliation; whenever I go to see a New Zealander speak, be they brown or white, they’re forever reeling off paragraph-long Māori welcomes, breaking into traditional song or pulling off a flawless haka at the drop of a hat. And as sickening as these masterful displays of cultural competence are for the Australian collective ego, it’s undeniably inspiring to see how embracing Māori culture has translated into the strength and dynamism we’re currently witnessing across the Tasman. On Saturday, at an Australia (insert your preferred name) Day ceremony, NSW Governor David Hurley (our Governor General in waiting) called on Australians to learn their local Indigenous language as a pathway to understanding and reconciling with Aboriginal communities. With 200 plus local Indigenous languages, many of them lost or not in everyday use, the task of bringing local indigenous language into our lives will be a far harder journey for Australia than it was for New Zealanders with just one language to learn and an existing population of Māori speakers. There is however, according to historians like Bill Gammage and Bruce Pascoe, a national indigenous language of food and land; a collection of “templates” of indigenous land stewardship and agriculture that may present another pathway for non-indigenous Australians to embrace and become enriched by Aboriginal culture. Down on the Merri Creek, Wurundjeri community members, the MECCARG Merri Murnong team and the Merri Creek Management Committee have been working for over ten years to re-establish murnong – a cornerstone root vegetable in the local Indigenous agricultural template. 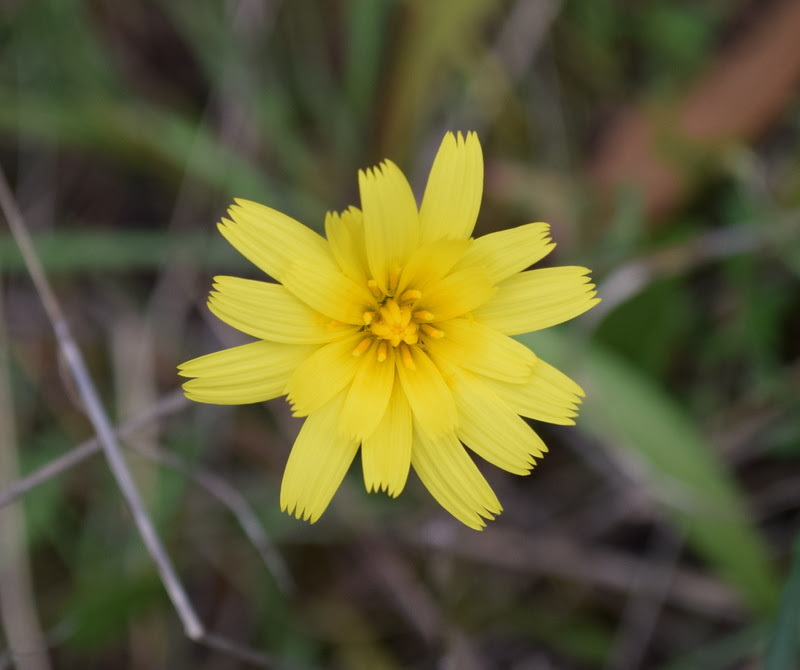 Before we Europeans took the land and our sheep and cattle ate it out, murnong, or yam daisy, was cultivated in huge quantities across the Western plains from Melbourne to Mt Gambier. Its cultivation, with digging stick and carefully directed fire, created the park-like range lands surveyor Thomas Mitchell beheld as Australia Felix or lucky Australia. CERES Joe’s Market Garden in partnership with the Wurundjeri Tribe Council are joining this murnong revival – creating a social enterprise to cultivate murnong as a commercial crop and a pathway to new friendships and ways of understanding and stewarding our land. To get this project off the ground Elder Aunty Charley, farmer Em Connors and Michelle Garita, Joe’s daughter, will be taking the stage next Saturday at the festival21 grand finale to pitch for start-up funds at The Food Chain – Social Enterprise Pitch Comp. ‘Voting with a note’, the audience will choose between three projects, with local philanthropist Peter McMullin pledging to match every dollar raised. Please come along and support for Aunty Charley, Emily and Michelle to bring the murnong back. festival21 is a fully recyclable, compostable, celebration of food, and the power it has to create positive impact. Featuring two days of talks, films and workshops at North Melbourne’s Meat Market f21 invites people to consider their relationship with food, the effect it has on the future of community, climate change and population health. February 1 – 2, tickets free. Just letting everyone know we’re closed for the Public Holiday Monday but will be back as usual and rearing to go for the first day back at school, work, life, the universe and everything.